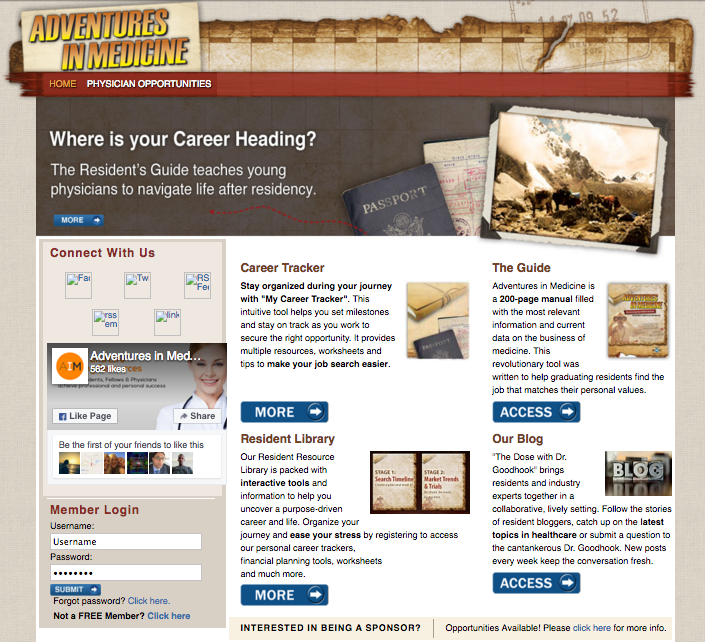 Adventures in Medicine is a wonderful resource for residents trying to navigate their life after residency. It just needed a website to help up and coming doctors realize what a great tool was at their disposal. I worked with the AIM team to make sure their website conveyed their mission and gave visitors all the information they needed in an easy to read and easy to digest format.